Essential Oils in the classroom! 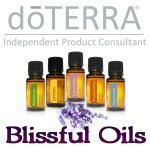 doTERRA Living Magazine has fantastic articles, like using essential oils in the classroom. Check out the pdf! I am a mama to my 3 year old son and 2 month old daughter, a cultural anthropologist by trade, and a product consultant for doTERRA Essential oils. I have been selling doTERRA oils for two years after searching for safe and natural remedies for my new baby and was completely blown away by their effectiveness in both prevention of illness and their healing properties. I have seen how incredible these oils can be during pregnancy, labor, birth, and postpartum. As a result, I have focused my business on teaching families how to keep everyone in the family happy and healthy with the use of doTERRA 100% certified pure therapeutic grade essential oils! It gives me great joy to have the privilege of sharing this amazingly empowering tool with my clients, friends, and family! Please don't hesitate to contact me with any questions you may have, we have an oil for everything! !